Seek out terrain without wind-drifts or wind slabs. Wind sheltered, low and mid elevation terrain with nothing steep above has a much lower avalanche danger (and much better turning conditions!). Non-stop avalanche activity yesterday, with the focus on wind drifted slopes facing north through easterly. A remotely triggered slide, near Primrose Cirque. Natural avalanches up to 2 feet deep and large enough to bury a person were reported in Mineral, upper Little Cottonwood, and Mill B. Explosives in the resorts and American Fork backcountry were able to pull out wind slabs and deep, wide avalanches, some breaking to the ground on facets - some were repeaters, others not. Human triggered slides included another on Pioneer (10,400’, North facing, 2” deep by 100’ wide), a slide remotely triggered off Preston Peak into Snake Creek, on a south easterly facing slope, about 3’ x 100’. Backcountry explosive testing by Powderbirds in American Fork released 3 large slides, including one sympathetically releasing 300’ away. Video of Slide off Bob's Knob ridge line, Jake Rogers. Probably remotely triggered by skiers from the ridge line. Photo 2 and 3 - American Fork, explosive triggered. 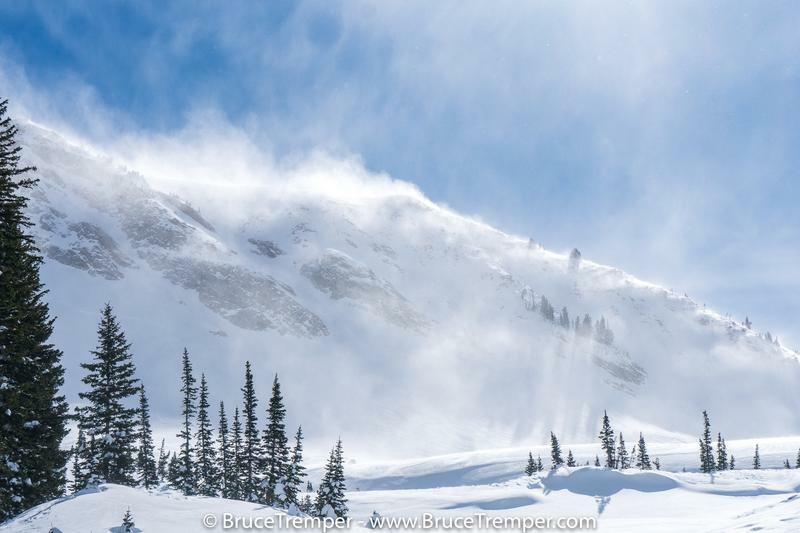 Enough snow and wind have tipped the balance in some areas to produce avalanches down near the ground 3-6' deep. While more likely to occur on slopes that have avalanched previously, two of yesterday’s explosive triggered slides in Mineral Fork were on slopes that had not slid this winter. These deep slides may require more of a significant trigger, perhaps a triggered wind slab stepping down or cornice fall.